Welcome to our Travel Calendar page of journeys led by myself, Nadia Eckhardt, and other field experts. I plan on leading both African safaris as well as small ship expeditions in 2018 and 2019 and invite you to join me! In addition, we offer several unique adventures with veteran leaders, such as Dr. Mark Brazil, Ella Bauer, and Lynne Greig, among others. Africa Easy & Expedition Easy has been involved in the tour planning for some of these trips working with our preferred partners (Silversea & Zegrahm Expeditions and others) and can offer expert advice on both destinations and itineraries. Please check back as we will continue to add new adventures, and confirm the currently tentative calendar for 2018 & 2019. If you are interested one of the trips below, please contact us for details. Search for the “big five” land animals in incredible places like the wildlife Ngorongoro Crater & visit Tanzania’s oldest and most popular national park, the Serengeti. Nadia Eckhardt invites you to experience Cuba’s fascinating culture, art, history, and nature. Iceland is one of the best places in the world to observe the wonder and magic of the northern lights. Expedition Easy has designed this itinerary for travel during fall/winter, with focus on the Lights. A unique Zimbabwe experience combining Victoria Falls, Hwange National Park, Mana Pools National Park & Matsuadona National Park with a full time Africa Easy Tour Leader. Experience the Mara Triangle, home to an incredible array of wildlife and dramatic backgrounds with some of the most incredible light you could ever wish for. A true photographers dream! Aboard the Hebridean Sky this trip is a way to truly immerse yourself in Cuban culture as well as visits to UNESCO World Heritage Sites. Have the opportunity to view colorful tropical fish, turtles, stingrays and other sea creatures while you snorkel over some beautiful healthy coral reefs. Kruger The Itinerary below is a scenically beautiful trail up Mt. Kilimanjaro, and also longer and gentler than Umbwe or Marangu – the “Coca Cola Route”. Join naturalist guide Dr. Mark Brazil, and culturalist Mayumi Brazil, on a journey to Hokkaido, Garden of the Gods. See this fascinating region’s national parks, wildlife, and culture, with the Brazils, local residents. Kruger National Park speaks for itself, a destination filled with so many incredible action-packed sightings, a variety of habitats and a vast array of wildlife from ranging from big to small, furry & feathered. Many have visited in the past but our Kruger Photo Safari will open up a side of the park you’ve never encountered before. Uganda is the Pearl of Africa and commonly regarded as “gifted by nature”. This itinerary offers amazing wildlife adventures from the Murchison Falls National Park home to over 71 mammal species to the Chimpanzees in the Kibale Forest Area to Bwindi Impenetrable National Park home to 240 mountain gorillas. Travel in the company of an expert marine biologist and photographer – in addition to our naturalist guides. Aboard M/V Origin. Explore on a program designed to showcase South Africa in One Country. Begin in the diverse Western Cape, drive along the Panorama Route to Sabi Sand Private Game Reserve for unforgettable safari game drives and more! The 13-day itinerary encompasses highlights across the incredible country of Namibia. From the capitol city of Windhoek, discover the Namib Desert and the mighty Red Dunes of Sossusvlei, spectacular birding on a marine cruise in Walvis Bay Harbor, Twyfelfontein engravings and game viewing in Etosha National Park. Enjoy a 12-day Treasures of Morocco journey that encompasses the best of the country’s attractions. The diverse itinerary explores from the largest city in Morocco – Casablanca to renowned gardens in Marrakech. Join our specialist Malagasy leader, Daniel Razafimandimby, on an incredible 11-day journey that highlights the best that Madagascar has to offer – 49 species of lemurs, intriguing chameleons and more. Join Africa Easy on a one of a kind fly safari experience combining the wide open plains and grasslands of Kenya, East Africa. 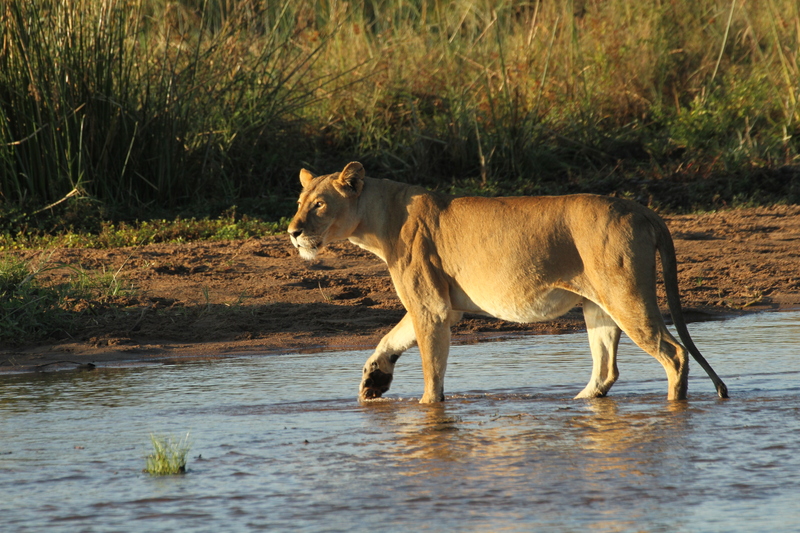 Fly to the Masai Mara then on to Southern Africa, a night on the Zambezi River and finally to Botswana. Experience Ethiopia’s rich history, culture and diverse wildlife on this 17 day journey. Discover South Africa and Zimbabwe in a small group, fully-guided journey. This 15-day itinerary starts in the captivating city of Cape Town where you will spend a few days exploring the city and its surrounds. Please note, additional 2018 & 2019 trips are in development and will be confirmed soon.